My ragland sweater is coming along. The body and one sleeve are finished and I'm knitting the second. And yes, I knit my sleeves individually rather than two at a time. 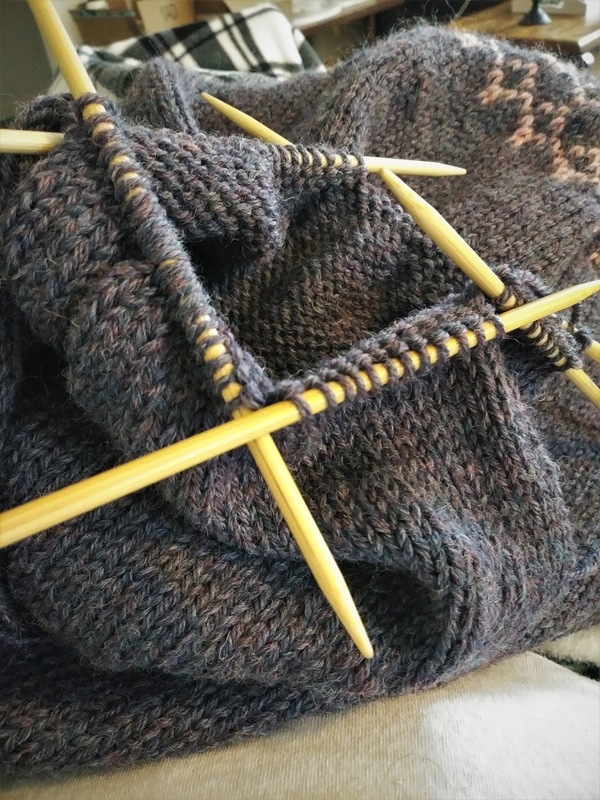 I'd rather constantly measure than have to deal with two skeins of yarn hanging off my project. And yes, I know that makes me weird but I am what I am. I can't do two at a time either. Too fiddly. I love a good raglan. I almost picked up some yarn the other day to start one but didn't. I'm pretty sure I have more than enough in the stash if I really want one. The sweater is a gorgeous color.